Five new specialist qualifications aimed at opening up career opportunities outside the traditional school leadership route will keep experienced teachers in the classroom, say leading commentators. One of the main criticisms of the government’s new recruitment and retention strategy, unveiled on Monday, is that it focuses on new teachers – with nothing to solve mid-career teacher retention. But sector leaders point to new national professional qualifications (NPQs) that will help teachers to develop expertise in specific areas and create more non-leadership career pathways in schools. 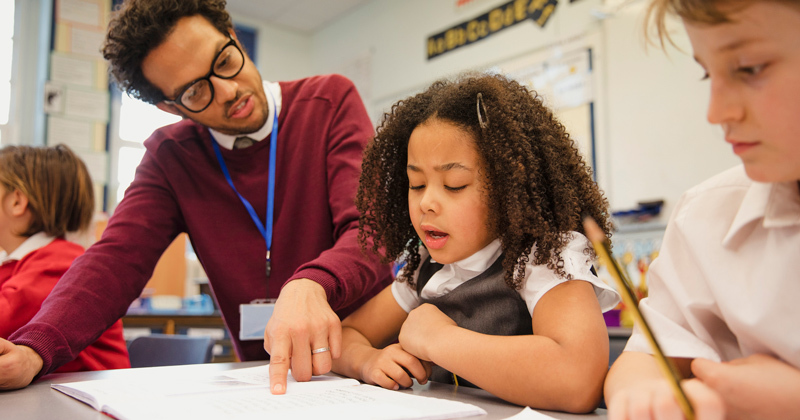 A “teacher developer” NPQ will support the roll-out of the early career framework, followed by qualifications in assessment, behaviour, curriculum and pedagogy. Sam Twiselton, the director of the Sheffield Institute of Education and part of the advisory panel that developed the strategy, said: “The specialist pathways, once they take off, will be really beneficial to people in the middle of their careers. The Department for Education will invest £20 million in scholarships to encourage the take-up of the qualifications – developed to match emerging career pathways in trusts and teaching school alliances – in the most challenging areas. The government is also working on a pilot to allow experienced teachers to take a sabbatical for academic research or to work in a relevant industry. John Howson, a visiting professor at Oxford Brookes University, said the NPQs were a “good idea”, but warned there needed to be “enough of a supply of school leaders to lead the schools”. The DfE should also ensure it did not “divert too many into these roles and away from leadership”. Debra Kidd, a former teacher and education consultant, said it was important that older teachers “should be feeling equally valued”. But Becky Francis, director of the UCL Institute of Education, said the “extensive support and expert development” offered by the early career framework and the NPQs gave “parity” for educators with other professions, such as medicine and law. The DfE has also pledged a “comprehensive review of the pay framework” to support the new qualifications, and will be asking the School Teachers Review Body for recommendations with, plans to implement any reforms in 2020.